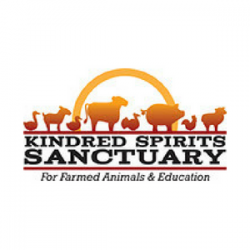 Kindred Spirits Sanctuary was founded in late 2003 in response to an overwhelming need for farm animal sanctuaries. Farm animals are exploited every day in our society, and are subject to some of the most horrendous forms of harassment, abuse and neglect. Industrialized or factory farming operates on the basic premise that farm animals are mere commodities, not thinking, feeling beings. Animals that exist in these factories suffer in silence. It's our mission to change that!